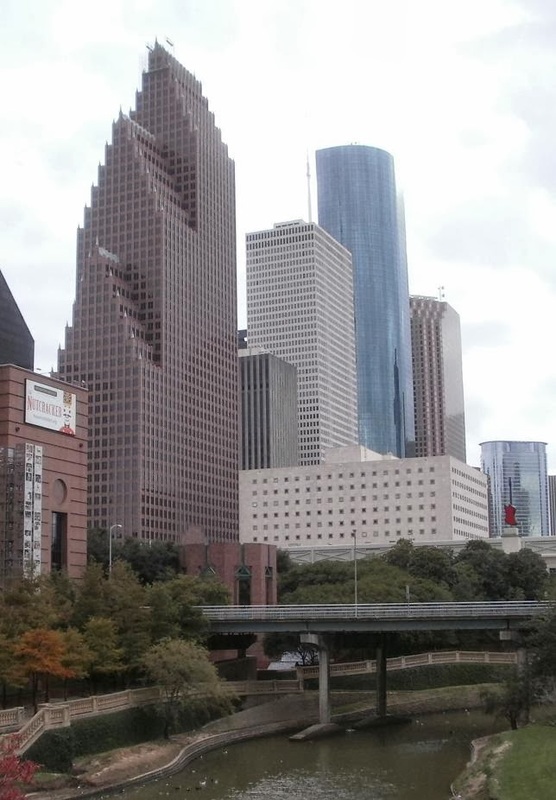 The 'Houston glut debate' gained further traction this summer as the metropolitan area has been a recipient of rising inland crude oil supplies heading towards the US Gulf Coast. New light and heavy grades of crude are showing up – principally from the Eagle Ford, Permian Basin, North Dakota and Western Canada. The ongoing American oil production boom complements existing Texas-wide E&P activity which is getting ever more efficient courtesy horizontal drilling. Yet, infrastructural impediments stunt the dispatch of crude eastwards from Texas to the refineries in Louisiana. In fact, many analysts in Chicago and New York have long complained that Houston lacks a benchmark given it has the crude stuff in excess. It seems experts at global energy and petrochemical information provider Platts thought exactly the same. Their response was the launch of the Platts Light Houston Sweet (or should we say ‘LHS’) in July. Nearly four months on, the Oilholic sat down with Platts Associate Editorial Director Sharmilpal Kaur to get her thoughts on the benchmark and more. So first off, why here and why now? "We launched the new crude assessment this year as we felt it was finally time for a benchmark that reflected the local dynamic. I’d also say the US was ripe for a fresh benchmark and we went for one based on the price of physical crude oil basically FOB out of three major terminals in Houston." 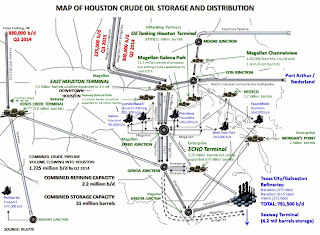 These include Magellan East Houston Terminal, Enterprise Houston Crude Oil (ECHO) Terminal, and the Oil Tanking Houston Terminal – the location markers for the assessment. Kaur says as the Houston crude transportation infrastructure develops, Platts may consider additional terminals for inclusion in its LHS assessment basis. 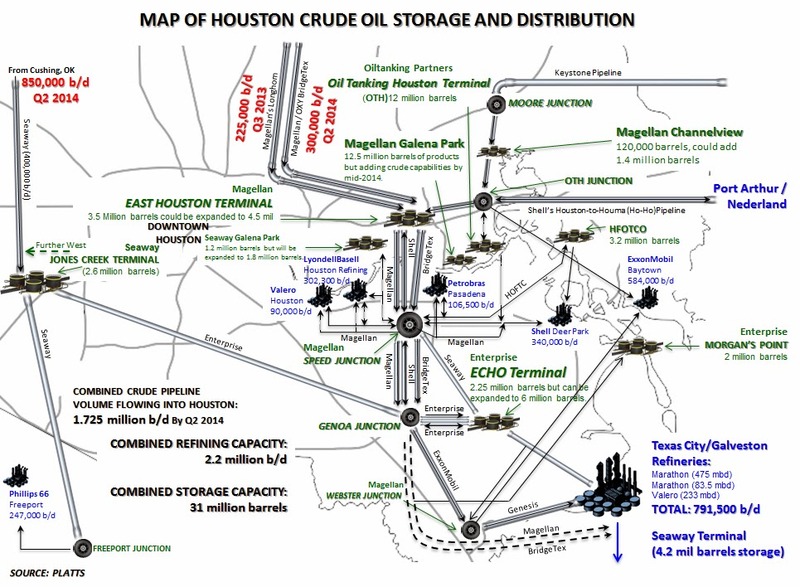 Specifically, completion of the Kinder Morgan/Mercuria 210,000 barrels per day (bpd) rail terminal on the Houston Ship Channel could potentially provide another avenue for both WTI Midland and Domestic Sweet quality crudes to enter the Houston market. The chances of Platts making a fist of LHS are good according to anecdotal evidence, especially as half of the supply side analyst community has been calling for such an assessment. The minimum volume considered by the information provider is 25,000 barrels, or 1,000 bpd rateable, in line with other US domestic pipeline grades. Platts publishes LHS as a flat price; which is assessed using both fixed as well as floating price information. In the case of floating prices against WTI, Platts generally calculates the fixed price assessment using calendar month average (CMA) WTI or front-month WTI as the floating basis, depending on the WTI basis reported in bids, offers, and transactions. In the case of light sweet price information reported against the Louisiana Light Sweet (LLS), Platts calculates the fixed price using LLS trade month. In the case of ICE Brent light sweet crude market, Platts calculates the resulting fixed price using an ICE Brent strip that reflects the value of ICE Brent for the relevant pipeline month. Additionally, in the absence of spot activity for light sweet crude in Houston, Platts will look at related markets such as WTI at Midland or WTI at Cushing and adjust its daily LHS assessment accordingly. That absence won’t be all that frequent as the Houston crude oil distribution system looks set to receive new supplies of over 1.7 million bpd in terms of pipeline capacity delivering into the region by the end of June 2014. A regional trading market for producers and dispatchers selling the crude stuff to Gulf Coast refiners is well past infancy. 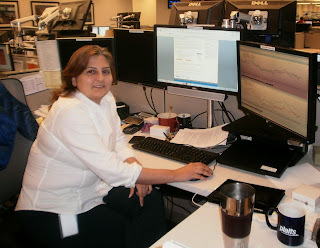 Kaur reckons Houston’s spot trading market could rival those at Cushing, Oklahoma and St. James, Louisiana. (See Platts map illustrating the area’s crude oil storage and distribution projections on the right, click to enlarge). So far so good, but in the ancillary infrastructure development and supply sources to Texas, does Kaur include Keystone XL at some point in the future? "Yes, the pipeline extension will be built and despite the uptick in US crude oil production remains as relevant as ever. 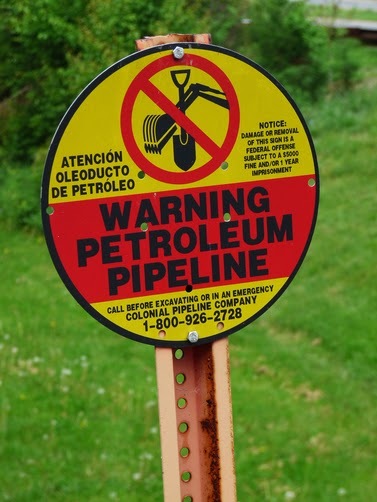 There are facets of Keystone XL which are hotly contested by those for and against the project – from its job creation potential to environmental concerns. My take is that Keystone XL would offer is incremental supply of heavy crude out of Canada that comes all the way down to the Gulf Coast and then gets blended." "What’s produced domestically in the US (say in the Eagle Ford and Bakken) is light crude. What Gulf Coast refiners actually like are heavier crudes blended to form a middle blend. Canadian crude has started pushing out the Latin American crudes and the reason for that is pure pricing as Canadian crude is cheaper than Latin American crude. That trend is basically continuing…it’s why the pipeline extension was planned, and why every refiner in Houston will tell you its needed. 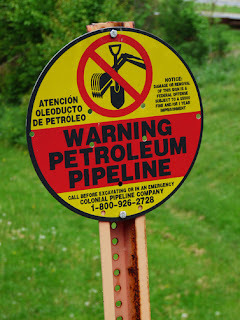 President Barack Obama will get there once the legacy component of Keystone XL has been worked out." As for the hypothesis that Canada may look elsewhere should the project not materialise, Kaur doesn’t quite see it that way. Simple reason is that the Americans know the Canadians and vice versa with very healthy trading relations between the two neighbours for better parts of a century. "China as an export market is an option for Canada. It’s being explored vigorously by Canadian policymakers – but I see two impediments. Pulling a pipeline from Alberta to British Columbia in order to access the Chinese market via the West Coast won’t be easy. It will, as Keystone XL will, eventually get built, but not overnight. Secondly, the Chinese have diversified their importation sources more than any other country in the world – OPEC, Latin America, West Africa and Russia, to name a few." Furthermore, US crude imports from West Africa are on the decline. That cargo has to go somewhere and industry evidence suggests its going to China, followed by Japan and to a much lesser extent India. "The Indians would like to get their hands on Canadian crude too – no doubt about that; but logistics and cost of shipping complicates matters. A simple look at the world map would tell you that. Don’t get me wrong; China needs Canadian exports, but given the global supply dynamic Canada probably needs China more as a major export market." In sync with what the ratings agencies are saying, Kaur sees also E&P capex going up over the next two to three years. "Most IOCs and NOCs see it that way. 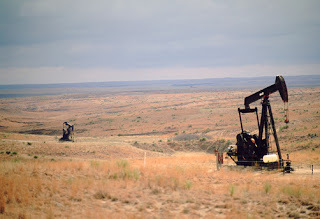 If you drove through exploration zones in the Bakken Shale, you’d be a busy man counting all the logos of oil & gas firms dotting the landscape, ditto for the Canadian oil sands where foreign direct investment is clearly visible." The Platts expert flags up a fresh example – that of Hess Corporation which recently sold its US trading operations to Centrica-owned Direct Energy. "Here is a company indicating quite clearly that it’s selling up the trading book and using that money to invest in Bakken wells as well as globally. Right now, in terms of E&P – the market is so lucrative, with an oil price level to sustain it, that people are making sure they find the capex for it and in many cases preferably from their balance sheets." The integrated model is not dead yet, but IOCs holding refineries on their balance sheet have clearly indicated that their priorities are elsewhere. "You see ageing refineries in trouble within the OECD; at least 15 have faced problems in Europe owing to overcapacity. Yet China, India and Middle East continue to build new refineries – often out of need." "China has indicated that it wants to be a regional exporter of refined products at some point. That’s a trading model it wants to adopt because it now has access to multiple crude oil supply sources. As a follow-up to its equity stakes in crude production sites, China now has ambitions and wherewithal of becoming a global refining power. In the Chinese government’s case – its need and ambition combined!" The Oilholic and Kaur agreed that the chances of US crude oil ending up in the hands of foreign refiners, let alone Chinese ones, were slim to none for the moment. In the fullness of time, the US may actually realise it is in its own interest to export crude. Yet, given the politics it is still a question of 'if' and not an imminent 'when'. Hypothetically, should the US employ free market principals and export its light crude which is surplus to its requirements, but get heavier crude in return more in sync with its refining prowess – the exchange would work wonders. Nonetheless, even with a ban on crude oil exports, the US oil & gas bonanza has weakened OPEC. There are two ways of approaching this – concept of incremental barrels on a virtual supply ledger and the constantly declining level of US imports. "As US imports decline, barrels originally heading to these shores will be diverted elsewhere. That’s where the US has a voice when it speaks to OPEC. Supply side analysts such as you are tallying US, Russia and [OPEC heavyweight] Saudi Arabia’s production level. Now add Canada, prospects of a Mexican and Iraqi revival, a gradual Libyan uptick and some semblance of a resolution to the Iranian standoff – then there’s a lot of it around and OPEC understands it." While Platts does not comment on the direction of the oil price, what Kaur sums up above is precisely why the Oilholic has constantly quipped over the course of 2013 that a three-figure Brent price is barmy and unreflective of supply side scenarios in an uncertain macroeconomic climate. Blame the blithering paper barrels! "At least, you can take comfort from the fact that the peak oil theorists have temporarily disappeared. 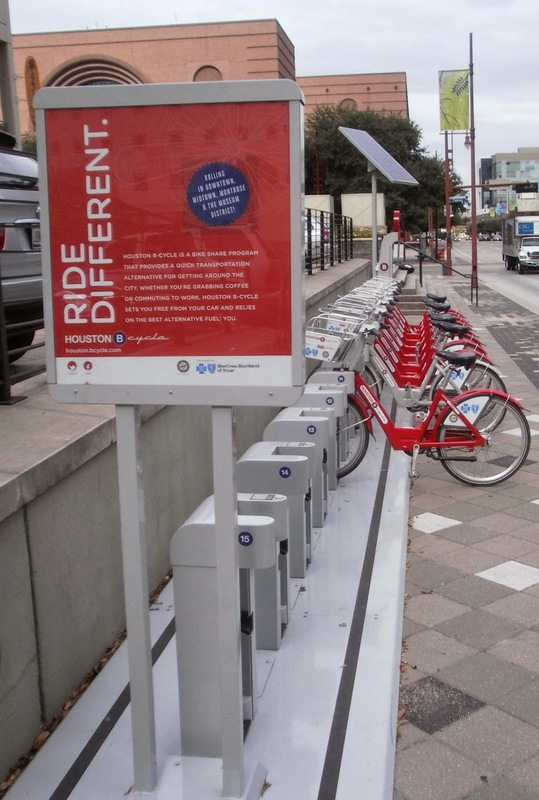 I haven’t seen one in Houston for while," Kaur laughs. 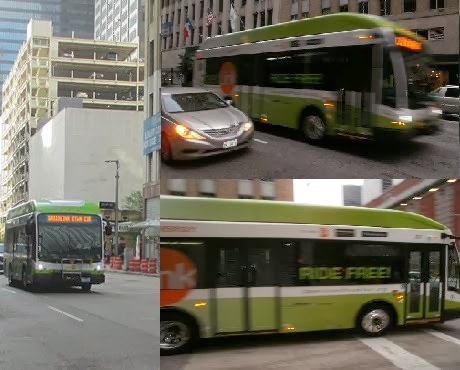 In fact, the Oilholic hasn’t either – in Houston and beyond. That’s all for the moment from Platts' Houston hub! Keep reading, keep it ‘crude’! US Interior Secretary Sally Jewell should be a happy bunny this week say contacts in Houston town. In fact since morning, no fewer than nine have pointed this out to The Oilholic. That is because Jewell's Interior Department has collected and disbursed over US$14.2 billion this week courtesy of a record royalties and fees windfall from oil & gas drilling on public land and US territorial waters for the fiscal year ending September 30. The figure is the second-highest collection on file and represents an annualised increase of $2 billion over the last fiscal year. Fracking and horizontal drilling coupled with increasing interest in offshore E&P are being seen as the drivers. There is one caveat though, the figure does include proceeds of a bonus licensing bid in the Gulf of Mexico that took place in 2012, but was put on ledgers for 2013. In a statement, Jewell said, "The figure reflects significant energy production from public resources in the United States and serves as critical revenue stream for federal and state governments and tribal communities." While the Interior Secretary stopped short of blessing the frackers, they are chuffed to bits and there is a fair bit of table thumping here. Let's also not forget that despite the frenetic pace of E&P activity in North Dakota, the state of Texas remains the country's largest producer of the crude stuff. That position is likely to be retained on account of fracking, enhanced oil recovery techniques being deployed, horizontal drilling and many established extraction sites that are chugging along nicely. There is one positive domino effect which is largely going under the radar – Houston is leading the global race in the manufacture and shipping of oil & gas equipment manufacturing from blowout preventers to wellheads. Some of equipment can be loaded conventionally, but the rest – i.e. break bulk (heavy equipment which cannot be shipped in conventional containers) loading is also creating additional revenue streams in the state. According to the Port of Houston, the facility handles nearly 70% of the US' entire break bulk cargo. Some here say jobs have more than doubled since 2005; Texas (along with North Dakota) also has the lowest unemployment rates in the country to brag about. Recent research conducted by McKinsey and IHS Global Insight came out bullish on the industry's long term potential for job creation – with both forecasting the creation of 1.7 million and 3.9 million jobs by 2020 and 2025 respectively. Now that tells you something, especially as the US is poised to overtake Russia and Saudi Arabia and become the world's largest producer in barrels of oil equivalent terms. Strangely enough though, some of the majors such as Shell and BHP Billiton have apparently not got it right. The former has cut its shale production projections while the latter has put up half of its oil & gas land holdings right here in Texas as well as New Mexico for sale. ExxonMobil's exit from shale exploration in Poland has also slightly dented the hypothesis of America exporting its nous on shale overseas. Some geologists have long warned that no one size fits all shale beds! Nonetheless, its early days yet on the knowledge export front at least. Going beyond Texan borders, the positive impact of major upstream project start-ups on cash generation in the global integrated oil & gas industry in 2014-15, as well as continuing robust crude price conditions, have resulted in a change of outlook for the sector by Moody's to 'positive' from 'stable'. Up until this month, the ratings agency's outlook had been stable since September 2011. Francois Lauras, senior credit officer in Moody's corporate finance group, said, "With crude prices set to remain robust, we expect that the start-up and ramp-up of major upstream projects over the next 12-18 months will benefit companies' production profiles and operating cash flow generation, and lead the industry's EBITDA to grow in the mid-to-high single digits year-on-year in 2014, albeit with more of the improvement showing in the latter part of the year." "Downstream operations will remain under pressure, but EBITDA from refining and marketing operations will stabilise near their 2013 levels," he adds. Furthermore, Lauras feels that the global integrated oil and gas sector's capital investment in 2014 will remain close to its record levels of 2013. The completion of the major upstream projects currently under construction will hold the key to the sector's return to positive free cash flow in the medium term. 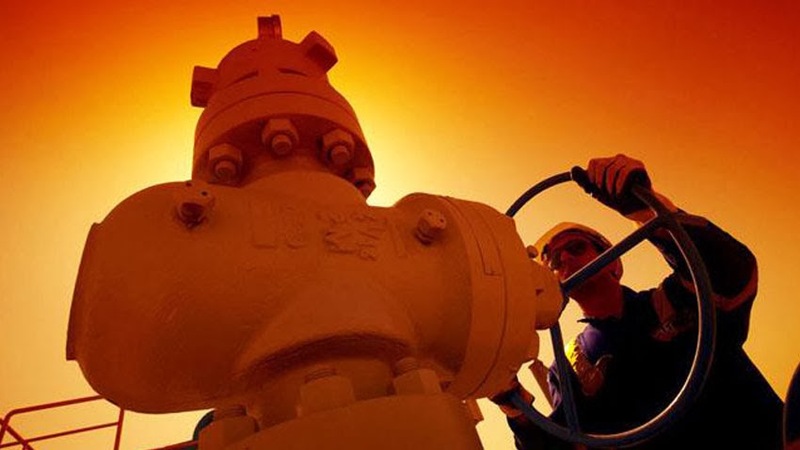 Integrated oil & gas companies will also continue to manage their asset portfolios actively and will execute further asset sales, supporting their financial profiles, Moody's concluded. Finally, the Oilholic leaves you with glimpses of The Woodlands (see above, click to enlarge), a suburb of Houston, dedicated by none other than the late George Mitchell, a man credited for pioneering fracking. Founded in 1974 as a largely residential area, today it houses commercial operations of many companies including those of a crude variety such as Anadarko, Baker Hughes and one GeoSouthern energy, a Blackstone Group backed company. It was one of the first to take a punt on the Eagle Ford shale prospection area and has just sold shale acreage to Devon Energy. That's all for the moment from Houston folks! Keep reading, keep it 'crude'! © Gaurav Sharma 2013. Photo 1: Pump Jacks, Perryton © Joel Sartore / National Geographic. 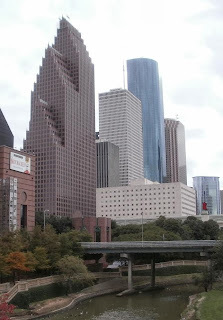 Photo 2: Collage of The Woodlands, Texas, USA © Gaurav Sharma, November 2013. The autonomous region of Kurdistan within Iraq's borders is drawing 'crude' headlines yet again. It's that old row about who controls what and gives rights for E&P activity in the region – the Federal administration in Baghdad or the provincial administration in Erbil? The historical context is provided by Gulf War I, when allied forces imposed a no-fly zone, and the Kurds subsequently pushed Saddam Hussein's forces back outside the provincial border. That was 1991, this is 2013 – a lot has changed for Iraq, but one thing hasn't – Iraqi Kurdistan is as autonomous today, as it was back then. In fact, it is more prosperous and an oasis of calm compared to the rest of the Federal state. One simple measure is that the rest of Iraq ravaged by sectarian conflict and Gulf War II still only provides its citizens with about an average of 6 to 7 hours of electricity per day. The average resident of Erbil gets 22 hours and sees infrastructural spending all around, driven by targeted revenue from oil and gas licensing and exports. Since 2006, the Kurdistan Regional Government (KRG) has been granting rights for exploration within its borders to firms from Norway to the US, with much gusto and on better terms, many say, than the Federal administration in Baghdad. The Iraqi government in turn says KRG has no right to do so. Mutual consternation came to a head in January when BP and Baghdad reached an agreement to revitalise the northern Kirkuk oilfield. Since jurisdictional mandate over the oilfield and the city is hotly contested by both sides, KRG declared the deal to be illegal on grounds that it was not consulted. Firing a return salvo, Iraqi Oil Minister Abdul Kareem al-Luaibi called the production and export of oil from Kurdistan to be an act of "smuggling" and threatened to cut the region's [17%] spending allocation from the federal budget as well as take legal action against Western firms digging up Kurdistan, beginning with London-listed Genel Energy (the first such firm to export from the region). Neither Genel Energy nor the administration paid heed to that threat. Baghdad and BP did likewise with KRG's moans over Kirkuk. Then the US State Department issued an advisory to all American oil firms operating in Kurdistan that they could be liable for legal damages from Baghdad. Doubtless, the rather handsomely rewarded legal eagles at their end advised them not to worry too much. An "as-you-were" lull lasted for roughly 10 months, when last week in an extraordinary development, Bob Dudley, CEO of BP, joined al-Luaibi and officials from the Iraqi state-run North Oil Company to pay a controversial visit to the Kirkuk oilfield in a show of support. Why Dudley took the decision to go himself instead of sending a deputy is puzzling and paradoxically a bit obvious as well. In making an appearance himself, Dudley wanted to show how important the Kirkuk deal is. Yet a deputy of his would have drawn a similar two-fingered gesture from KRG, as his visit did. Playing it cool, a source at BP said its only intention is to revive production at Kirkuk, an oilfield which at the turn of millennium saw an output of 900,000 barrels per day (bpd), but can barely manage less than a third of it today. 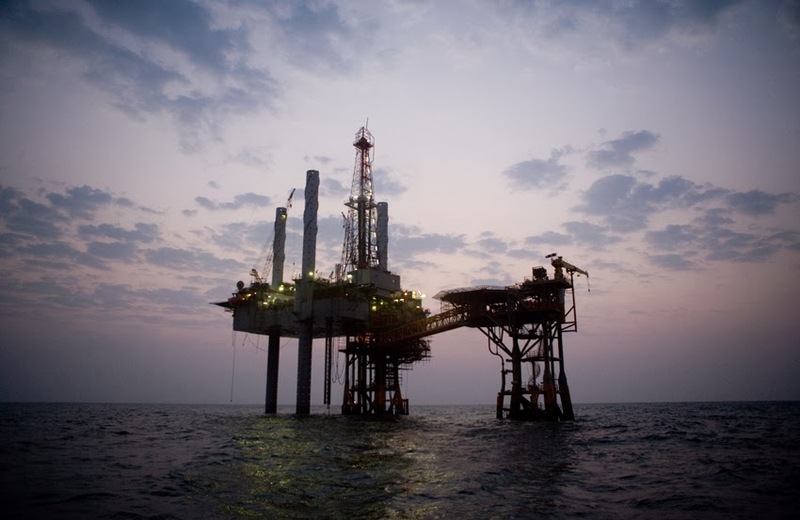 BP has the technical know-how to improve the field's output, but how it will extricate itself from the quagmire of the area's politics is anybody's guess. An Abu Dhabi based source says both sides are entrenched at Kirkuk. BP will have access to the Federally-administered side of the Kirkuk field, namely the Baba and Avana geological formations. But one formation – Khurmala – is inside the Kurdish provincial borders and being is developed by the KAR group. Furthermore, there is another twist in the linear fight between Baghdad and Erbil – Kirkuk's governor Najimeldin Kareem, a man of Kurdish origin, has backed the Federal deal with BP. Dudley left the oilfield without saying anything concrete on record, leaving it to the Iraqis to do most of the talking. The Iraqi Oil Ministry chose to describe Kareem's backing "as securing the complete support from the local government of Kirkuk" in order to commence developing Kirkuk. Hmm…but whose Kirkuk is it anyway? The primary beneficiary of Kurdish oil exports is Turkey; the closest market where the aforementioned Genel Energy delivers most of its output to. Where the tussle will lead to is unpredictable – but it hasn't deterred either BP from signing up a deal with Baghdad or the likes of ExxonMobil, Chevron and Total with Erbil. This brings us back to why Dudley went himself – well, when his peers such as Rex Tillerson, ExxonMobil's boss, have showed-up in Erbil, there was perhaps little choice left. If the regional politics goes out of control, the bosses of oil firms would have only themselves to blame for getting so close to the Iraqi wrangles most say they are least interested in. At the centre of it all is the thirst for black gold. KRG is providing generous production sharing and contract conditions within its autonomous borders, while Baghdad has quite possibly given equally generous terms to BP for Kirkuk. The oil major has already announced a US$100 million investment in the oilfield. Giving KRG the last word in the verbal melee – in September 2012, even before the recent salvos had been fired in earnest and the CEOs had come calling, Ashti Hawrami, Minister for Natural Resources of KRG, said something rather blunt on BBC’s Hard Talk programme which explains it all: "To put it politely, if I have million barrels of oil to produce in two years time, the market needs it, Iraq needs it and at the end of the day we are going to win that battle." There are 50 plus firms already helping him achieve that objective. With geological surveys projecting that Kurdistan potentially has 45 billion barrels of the crude stuff, many of these firms are working with the KRG contrary to advice given by their own governments. And as if to rub it in further into his Federal counterpart, Hawrami quipped, "Kurdistan's investment and spending plans are more structured…Why is Baghdad buying F-16s when Iraqis have little more than 4 hours of electricity per day on average [much worse than the inhabitants of Iraqi Kurdistan]." OUCH! Moving away from Iraqi politics, Brent's $106 per barrel floor has not only been breached, but was smashed big time last week. As noted, hedge funds are indeed feeling the pinch, for instance high-flier Andy Hall's $4 billion baby – Astenbeck Capital Management. According to Reuters, Astenbeck is down 5% as of Oct-end, largely due to the slump in Brent prices. Even though Hall's team have diversified into palladium, platinum and soft commodities, it'd be remarkable if the fund is able to avoid its first annual loss in six years. However, one shouldn't be too hard on Astenbeck as the average energy fund on Chicago's Hedge Fund Research Index, is down 4.45%. That's all for the moment folks! Keep reading, keep it 'crude'! Crude reality: Time to short as bulls go lethargic? Most of the Oilholic's contacts in City trading circles had been maintaining in recent months that a US$106 per barrel price would be the psychological floor to the year-end, barring bearish trends induced by a wider and unforeseen macroeconomic tsunami. To be quite honest, the global economy is probably where it has been for a while – in a bit of a lull. So even though things are neither materially better nor all that worse, the level was still breached this Monday morning. Methinks there is going to be further selling and yet more shorting either side of the Atlantic. Our old friends the hedge funds – held responsible by many for the assetization of black gold – certainly seem to think so. That's if you believe data published by ICE Futures Europe. It indicates speculative bets that the Brent price will rise (in futures and options combined), outnumbered short positions by 119,451 lots in the week ended October 29. The London-based exchange says that's a reduction of 21% (or 30,710 contracts) from the previous week and the biggest drop since the week ended June 25. Concurrently, bearish positions on Brent outnumbered bullish wagers by 321,470; a 3.2% decrease in net-short positions from October 22. So there you have it! On a related note, albeit for different reasons, the WTI also closed at its lowest since June 26. In fact the forward month futures contract for December shed as much as 55 cents to $94.06 at one point in intraday trading on Monday. The Oilholic believes the prices aren’t plummeting; rather they are hitting a much more realistic level. Such a sentiment was echoed by two new supply-side contacts this blogger had the pleasure of running into at the UK business lobby group CBI's 2013 annual conference. As 2014 is nearly upon us, Steven Wood, managing director (corporate finance) at Moody's, says oil prices should stay robust through next year. 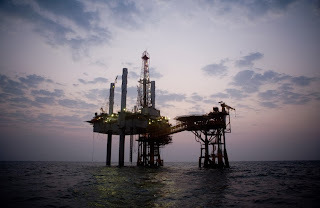 His and Moody's quantification of robustness for Brent, factoring in Chinese demand and tensions in the Middle East, stands at around $95 per barrel, and West Texas Intermediate "for slightly less, in the next one to two years." "And with the worst behind the US natural gas industry, prices for benchmark Henry Hub will average about $3.75 per thousand cubic feet next year," he adds. Additionally, the good folks at Moody's reckon the E&P sector's fortunes will continue to rise over the next year, with big capital spending budgets keeping fundamentals strong (also for the oilfield service and drilling sector). One minor footnote though, even if it is still some way off – what if international sanctions on Iran get eased should relations between the Islamic Republic and the West improve? We could then see the Iran add over 750,000 barrels per day to the global oil output pool. Undoubtedly, this would be bearish for oil markets, especially so for Brent. The recent dialogue between both sides has made contemplating the possibility possible! Away from price-related issues, if you needed any further proof of renewed vigour in North Sea E&P activity, then Norway's Statoil has announced it will go ahead with a decision to build a new platform at its Snorre field to extract another 300 million barrels of the crude stuff at an expense of £4.2 billion. This would, according to the Norwegian media, extend the project's lifetime to 2040. Statoil will take a final decision on engineering aspects in the first quarter of 2015 with the platform scheduled to come onstream in the fourth quarter of 2021. The Norwegian firm owns 33.3% of the exploration project licence. Other shareholders include Petoro (30%), ExxonMobil (17.4%), Idemitsu Petroleum (9.6%), RWE (8.6%) and Core Energy (1.1%). That’s all for the moment folks! Keep reading, keep it ‘crude’!